The talented service team at Mercedes-Benz of Ontario possesses the tools and experience to maintain the unmistakable look and ride quality of all Mercedes-Benz vehicles. Using genuine parts and fluids, our repair technicians work wonders on early (MY09 — MY14)* and late (MY15 or newer)** vehicles alike. 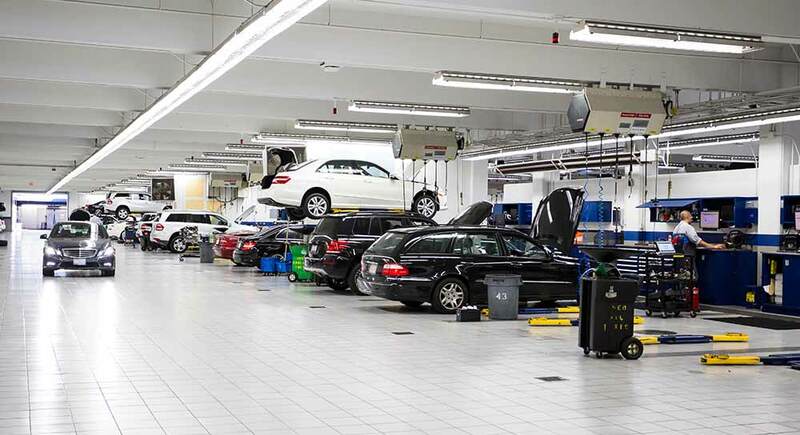 Whether you’re looking for Mercedes-Benz Service B maintenance in Ontario, Rancho Cucamonga, or neighboring California areas, our service center is your one-stop-shop. If you have any questions about Mercedes-Benz Service B cost or Mercedes-Benz Service B coupons and specials, feel welcome to contact us online. ** Services and pricing for Service A/Service B may vary due to your driving habits, mileage, and local environmental conditions. Please refer to your maintenance booklet for additional details and general guidelines for your vehicle’s year and model.